Derby Theatre is excited to announce the cast for their upcoming regional premiere production of What Fatima Did… by Atiha Sen Gupta, directed by Sarah Brigham and in association with Tamasha. What Fatima Did… premiered at Hampstead Theatre in 2009 and is Derby Theatre’s next produced show for the spring. 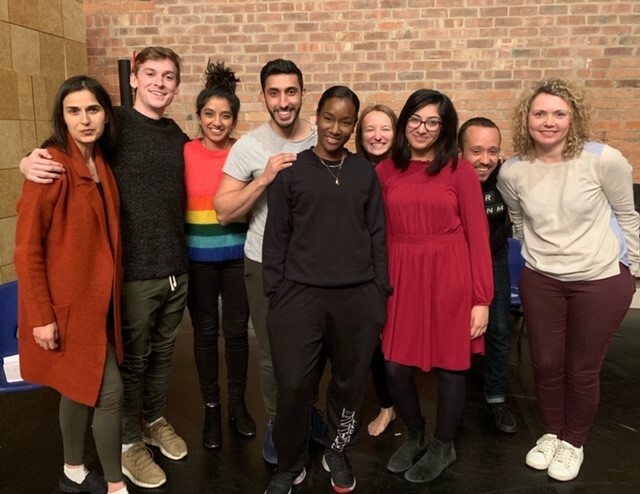 The production will run from Wednesday 27 February until Saturday 2 March, following their production of Abi in autumn 2018, also written by Atiha. Part of IGNITE, Tamasha’s Associate Producer Programme supported by Arts Council England’s Sustained Theatre Programme, the cast for What Fatima Did…includes an excellent cast of professional young actors, all who hail from the Midlands’ region, including: Alex Kapila, Adeel Ali, Taja Luegaezor Christian, Matthew Biddulph, Nimisha Odedra, Rebecca McQuillan and Terry Haywood. Three of the actors were cast from an open call-out audition. Fatima Merchant is feisty and strong-willed. At 17, she drinks, smokes and parties. On the eve of her 18th birthday, without word or warning, she adopts the hijab. Suddenly, to her friends and family she is no longer the Fatima they thought they knew. What Fatima Did... is a funny and thought-provoking exploration of attitudes to identity, freedom and multiculturalism in contemporary Britain. Tamasha is a diverse cohort of bold and playful theatremakers who foreground emerging and established artists from culturally diverse backgrounds. Atiha Sen Gupta is one of the most exciting playwrights in the country and is she is also a screenwriter. Her other credits include State Red (Hampstead Downstairs); Counting Stars (Assembly Rooms George Square, Edinburgh Fringe) and Theatre Royal Stratford East). Atiha’s TV credits include Skins (E4) and BBC1’s Holby City. Her work has been shortlisted for various awards including: the Evening Standard’s Charles Wintour Award for Most Promising Playwright (2009), the John Whiting Award (2009) and the Amnesty International Freedom of Expression Award (2015). In 2012, Atiha won the German theatre award – JugendStückePreis – at an awards ceremony in Heidelberg. Sarah Brigham has been Artistic Director at Derby Theatre since January 2013, later becoming Chief Executive, and director of What Fatima Did… Sarah has directed numerous productions for Derby Theatre including, most recently, Hansel & Gretel, Goldilocks and the Three Bears, Abi and Great Expectations.